With expert help from the seasoned guides of European Focus Private Tours. We work with singles, couples, families and groups of friends who have common interests. Best of all, your tour is led by the designer! No fumbling around, no getting lost, no wondering what hotel to use or where to eat or what to do with your precious vacation time. We take all of the unknowns out of travel and eliminate the thousands of details which go into a fun, stress-free vacation. All you have to do is get onto the airplane and let us take care of the rest. Booking now for 2014 and beyond. 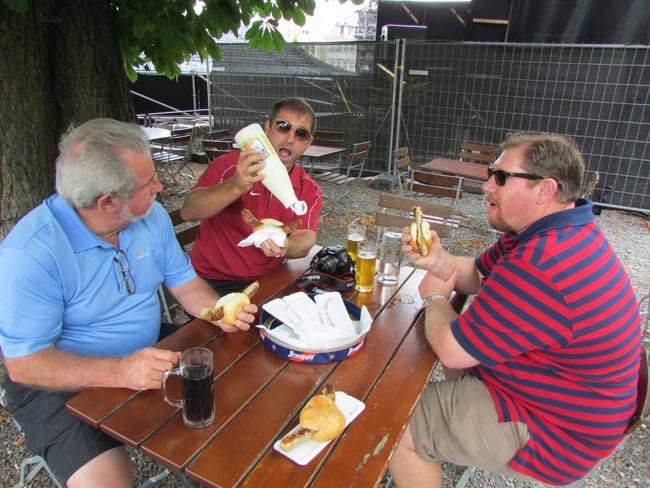 A busy father and his two sons enjoyed a stress-free vacation in Germany and France in July, leaving the planning to us while they carried on busy lives and careers back home in Oklahoma. Posted in Austria Tours, Belgium Tours, Croatia Tours, England Tours, Europe Tours, France Tours, Germany Tours, Hungary Tours, Ireland Tours, Italy Tours, Luxembourg Tours, Planned Tours, Poland Tours, Private Tours in Europe, Scotland Tours, Sweden Tours, Switzerland Tours and tagged custom-designed, europe, guide, in, luxury, private, tours.